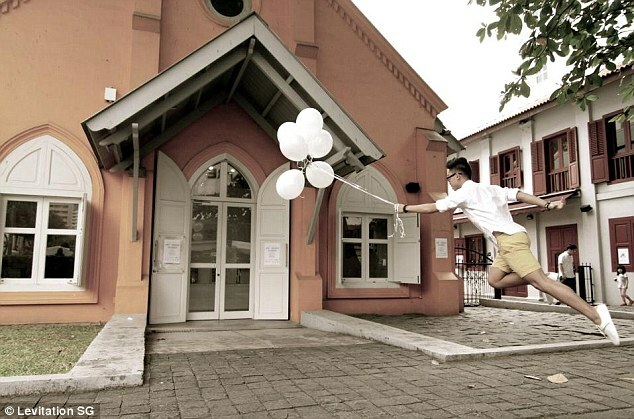 It’s the internet craze that’s got hundreds floating on air. 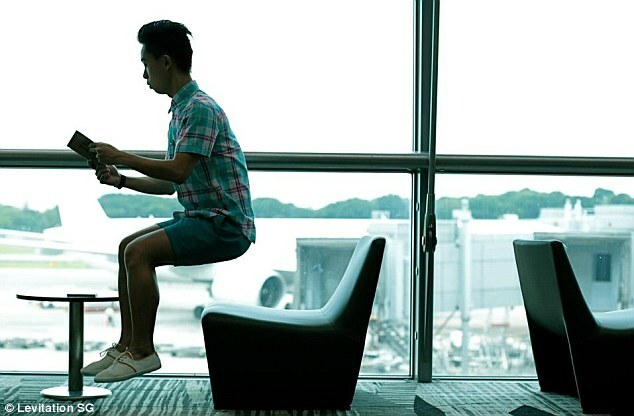 Photography buffs, Jeff Cheong and Jayden Tan who work at an advertising agency in Singapore, are the latest to share their best ‘levitating’ photos. 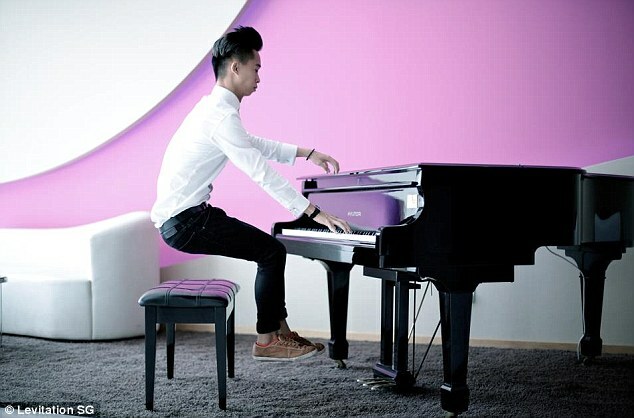 Without using any photo editing software, the pair have made it look as if they can defy gravity by performing everyday tasks such as playing the piano or pushing a shopping cart in mid-air. 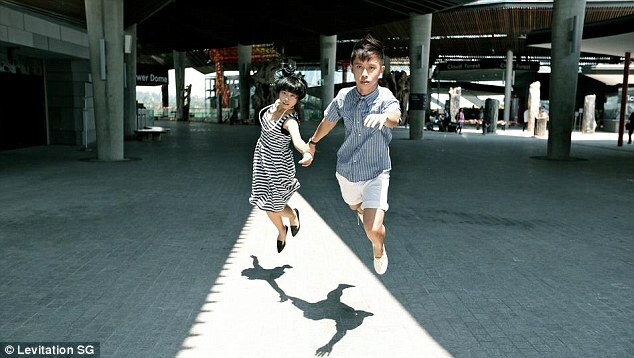 The fascination with levitation photography has taken off since photos were posted by Japanese teenager Natasha Hayashi of her ‘floating’ around Tokyo went viral in 2010. The effect is achieved by using a camera with a fast shutter speed and taking the shots from a low angle. The subjects must try to look as casual as possible for maximum effect. 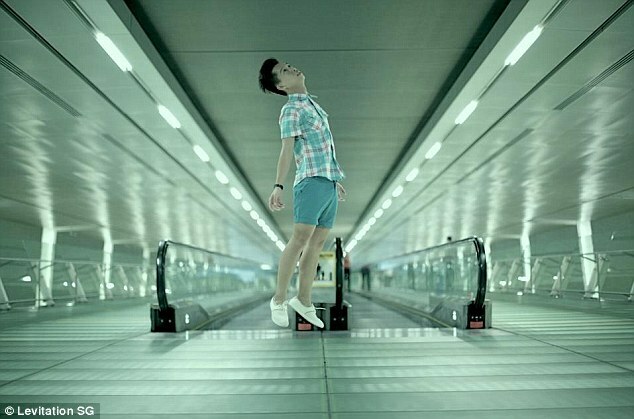 Jeff Cheong and Jayden Tan, who call themselves Levitation SG, have taken these photos around some of their favorite places in their home city of Singapore. 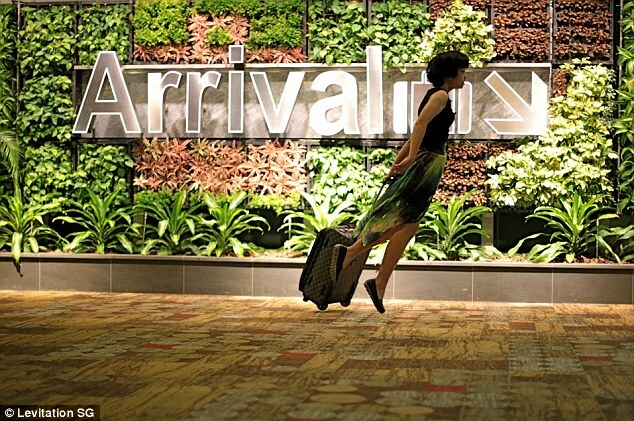 Some of the most impressive include a women floating through the arrivals lounge at the international airport with her suitcase and a man who appears to be reading a book in mid-air. The craze is catching hold, especially in the Far East, with hundreds of young people coming up with more and more interesting backdrops and posting the results online.